As part of a reorganisation of our website and blogs we have moved the Gallery blog to a new address. 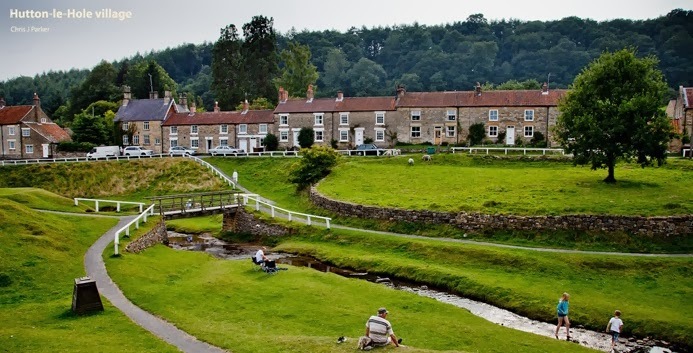 Please visit www.thegalleryatryedalefolkmuseum.blogspot.com if you'd like to find out about our exhibitions for 2009 and the past programme. 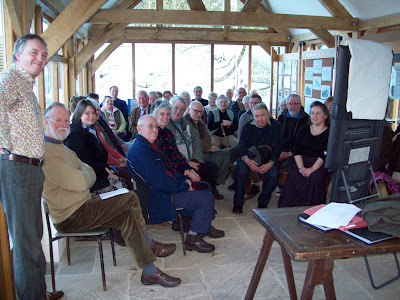 On Friday 13th February we had a Ryedale Folk Museum Volunteers meeting. It was well supported, Mike gave us a briefing on the fund-raising for the Harrison Collection, we still have a long way to go. However, nothing is impossible and we will get there. If you are not a volunteer at the museum, have you considered becoming one? If not do you know someone who may be interested? The museum welcomes people with plenty of enthusiasm in all aspects of museum work. 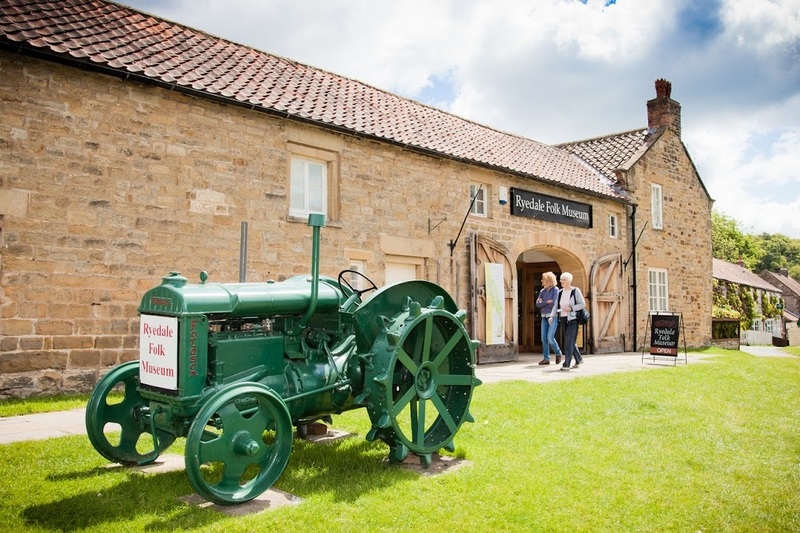 Restoration of farm machinery, archive work and helping in the shop are just some of the things you could be involved in. When Great Britain was at war in 1914-1918, and 1939-1945, food production was very important as the country faced the prospect of not being able to import food due to U-boats. Government intervention with War Agricultural Executive Committees or ‘War Ags’ as they became known, was vital if the country was to survive. The War Ags main purpose was to advise farmers on how to run their farms and ensure the government policy of ploughing up land was being upheld. If farms were not being farmed in an efficient manner the committees had the power to take over the running of it themselves. More positively however, the ‘War Ags’ did supply tractors machinery and labour to farms. The Plough Up Policy, was unpopular with many farmers- the main objection raised was that Committees sometimes insisted that land unsuitable for growing arable crops was ploughed up. Another obstacle to the increase in production was the availability of labour, many young men had left the countryside to join Kitchener’s army. Billa Dixon from Trunch, Norfolk remembered; ‘They were calling for volunteers, and several of us in the village, I should think about ten of us, went that morning down to Mundesley and joined up, took the shilling’. At first, the labour shortage did not affect productivity because the war started in August 1914, and that year’s harvest was gathered before the men enlisted in the army. By 1917, Britain was suffering from the German blockade and was losing much shipping due to the U-boats. Labour was supplied to farms by the War Ags, the Women’s land Army was formed in 1917, to attempt to alleviate the labour shortage. Prisoners-of war were also used as were British soldiers, in both world wars. Having thousands of volunteers or prisoners working on farms may have helped, but there was a shortage of skilled labourwhich lasted for the duration of both wars. Training was needed for more skilled jobs such as ploughing with horses or a tractor. As time progressed it became obvious that tractors were much more efficient than horses. They became cheaper, more reliable and more readily available. From 1937-1942 there had been an increase in the number of tractors in Britain from 18,950 to 35,059. However, horses could not compete with the work a tractor could achieve. Much more land could be ploughed with a tractor, and as time progressed they were fitted with front loaders for other agricultural tasks, such as mucking out large buildings and loading loose grain . In 1942 the horse still outnumbered its metal counterpart, there being approximately thirty horses to each tractor., but this statistic does not disguise the fact that the working horse had declined since 1921 when there were nearly one million working horses, by 1946 this figure had nearly halved. Horses, even in the Second World War, proved useful for light draught work, and the tractor reserved for cultivation and ploughing. By Jonathan Severs, B.A History, Hons, (York St John). This was more the case in the Second World War than in 1914-1918, in November 1917 the government was very short of tractors, in November 1917 there were only nine tractors that belonged to the government in Cheshire, also there were twelve borrowed from local farmers, P.E Dewey, British Agriculture in The First World War, p.183. Interview, Billa Dixon, cited in, The Death of Rural England, A.Howkins, p.28. P.Dewey, British Agriculture in The First World War, p.131. B.Short, C.Watkins, J.Martin, State-Led Agricultural Revolution, p.10. M.A.F.F, A Century of Agricultural Statistics, Great Britain 1866-1966, p.61. J.Martin,The Development of British Agriculture, p.17.